Is America’s Car Capital More Bike-Friendly than Its Bike Capital? Long championed as the cycling capital of North America, Portland (the Oregon one), has guided other cities striving to cultivate an active and educated populace yearning for two-wheeled mobility. So many words have been written about Portland’s bike culture that a mass influx of new residents has spurred soaring housing costs. This new generation shunning the suburbs is now finding out the harsh realities of a real estate market willing to use bikes as a wedge marketing tool. 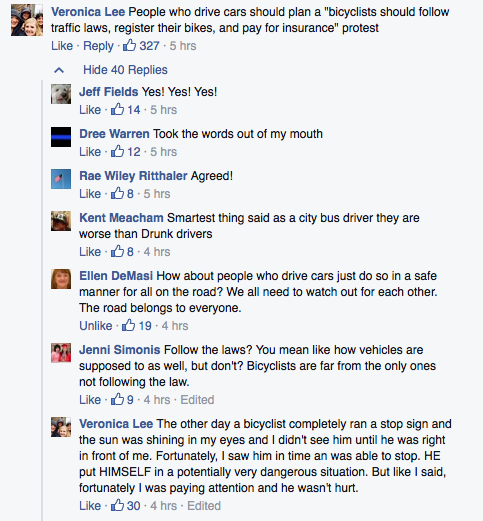 On top of this, there’s been a bitter ‘bike-lash’ to all those sleek cyclists darting past backed up automobiles on the road: Portland’s driving class seems hostile to the point of calling for violence against those wise enough to ride.